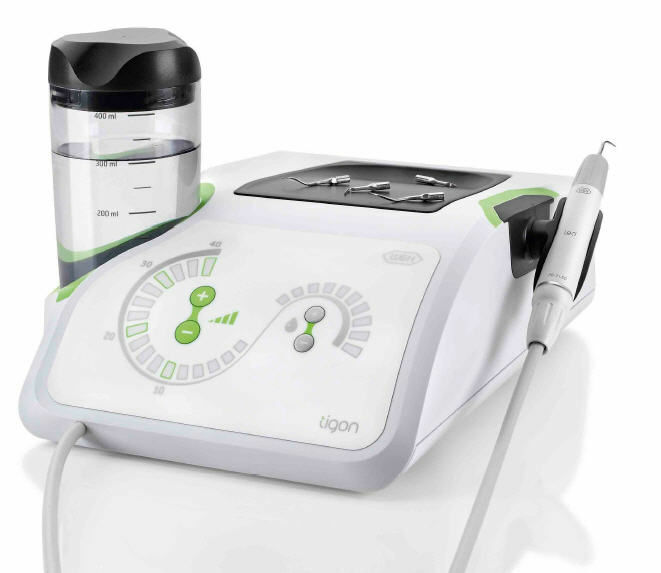 Tigon – the W&H Piezo Scaler – has many advantages. It is user-friendly and easy to operate. The removable Tigon handpiece support and tray are thermo washer disinfectable and sterilizable. The same is true for the W&H range of tips, which are perfectly coordinated and cover all areas of application. The ergonomically designed LED handpiece with non-slip surface lies securely in the hand. Optimal viewing conditions at all times thanks to the ring of LEDs on the piezo scaler handpiece. For removing supragingival plaque and subgingival concretions, as well as for endodontic applications and for preparing dental enamel. Click the button below to add the W&H Tigon Dental Ultrasonic Scaler LED Light to your wish list.